Hot flashes refer to a condition when you experience sudden feelings of warmth, especially in the neck, face, and chest. Your face becomes red as if you are blushing. You may also experience profuse sweating followed by a feeling of being cold. Several hormonal conditions can result in hot flashes, but you usually experience them due to menopause, which is the time when your menstrual period stops. For most women, hot flashes are the most common symptom of menopause. Some women may experience a couple of hot flashes a day, while others have this feeling once an hour. You can try a number of ways to deal with bothersome hot flashes, and one great idea is to use essential oils. Essential oils offer numerous health benefits and many women have used them to see great results in dealing with symptoms of menopause. Just remember that for topical use, essential oils should first be diluted with a carrier oil such as sweet almond oil, avocado oil or olive oil to avoid skin irritation. 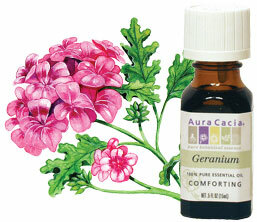 Geranium essential oil is extracted from the leaves and stems of the geranium plant. The process used for extraction is steam distillation that helps preserve healthy benefits of geranium in its oil. It has hemostatic, astringent, and cicatrisant properties and is a popular choice in aromatherapy for its several health benefits, including its ability to reduce symptoms of menopause. How to use: This hormone balancing oil is quite effective for daytime use because you may find it quite stimulating. You can dilute it by mixing in a carrier oil or apply directly to the bottom of your feet. For better effects, apply it to your wrists and tummy (just draw a line with it across the bottom) after taking a shower in the morning. 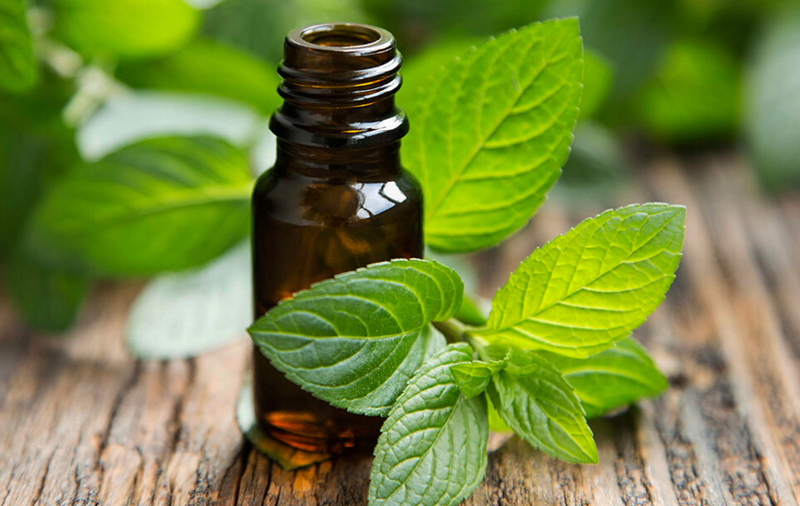 Peppermint is one of the essential oils for hot flashes. It is a colorless oil with a distinctly penetrating aroma. It can have a relaxing or regulating effect on you depending on the circumstances in which you are using it. Peppermint oil is among the most powerful vasoconstrictors in aromatherapy and works great for relieving achy legs, tired hands and feet, and hot flashes. How to use: You simply need to add 4 drops of this oil to a quart of water and keep it in your refrigerator. Leave it there for a couple of days but shake it well twice a day. Put the mixture in a bottle and soak a cloth in it and apply directly over the back of your neck and face whenever you experience hot flashes. Once done, drink the remaining mixture to experience great relief. 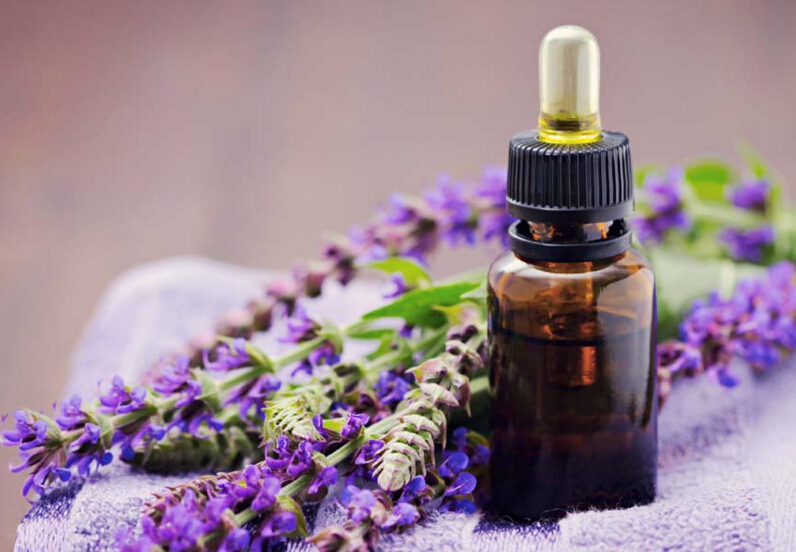 Clary Sage essential oil is effective in dealing with premenstrual syndrome mainly because it contains natural phytoestrogens. With its mellow, warm scent, it relaxes your nerves and provides you with relief during menopause. How to use: To enjoy its hormone balancing ability, you simply need to dilute it by adding 4ml of carrier oil to 15 drops of clary sage essential oil and keep it in a roll-on bottle. Just apply it on the bottom of each foot to sleep through the night without having to worry about hot flashes. Lemongrass, a highly fragrant plant with an impressive lemony smell, is one of the best essential oils for hot flashes. It has refreshing, renewing, and mentally stimulating effects on you and soothes your body as well. Research shows that lemongrass essential oil has a sedating effect on the nervous system. Moreover, it has anti-inflammatory and vasodilating properties that make it an effective choice to relieve hot flashes. How to use: You can simply inhale it from a piece of cloth or tissue to find relief, or you can put it in your diffuser or vaporizer for great effects. 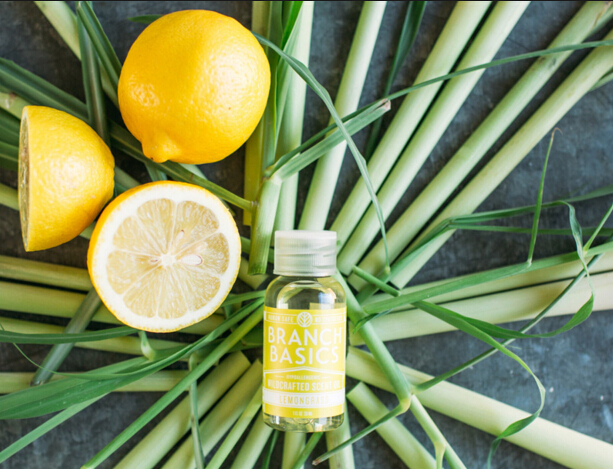 Just be sure to do a patch test first if you wish to apply it to your skin because lemongrass essential oil may cause sensitivity in some people. Avoid using it if you have glaucoma. Roman chamomile offers a variety of health benefits. With its sweet and somewhat fruity-herby scent, it works amazingly well for your skin and nervous system. As soon as you use it, you will notice a therapeutic calming effect on your mind, skin, and body, which makes it an ideal choice of essential oils for hot flashes. 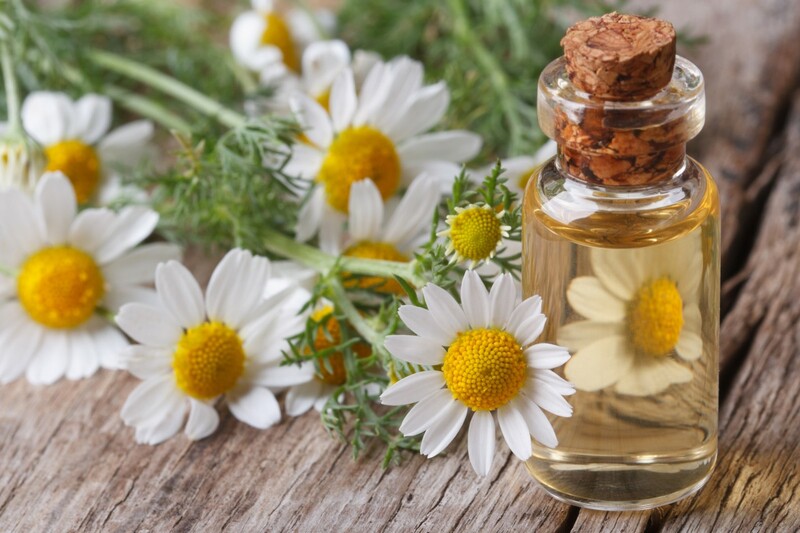 How to use: Roman Chamomile oil works great when mixed with peppermint and clary sage oil. Clary Sage oil is known for its mood balancing properties, whereas peppermint works great to relieve hot flashes. The combination of all three will help you make a highly effective cooling mist that offers several health benefits. Just take 8 drops each of clary sage, Roman chamomile, and peppermint essential oils in a 4oz dark glass bottle spray. Add an ounce of witch hazel extract and 3oz of distilled water to the bottle. Mix well and use to avoid hot flashes and night sweats. 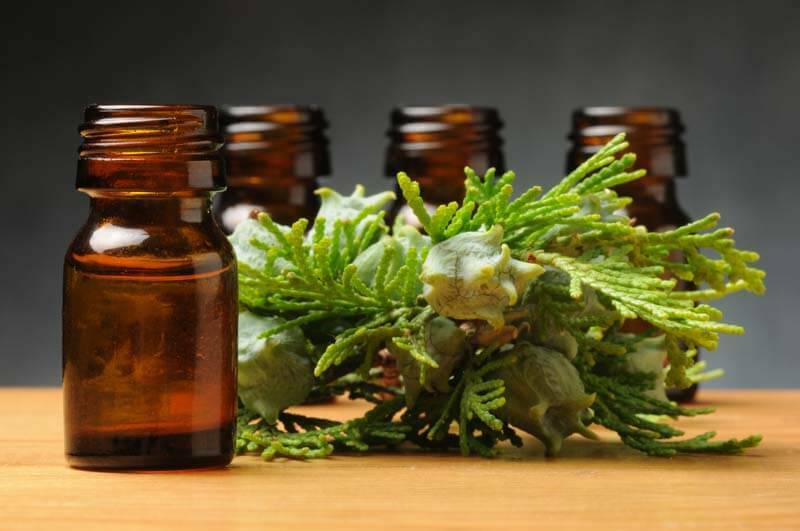 Cypress is among the most effective essential oils for hot flashes. It has detoxifying effects on your body and works amazingly well to reduce cellulite and limit fluid retention. Its soothing effects also help maintain an emotional and hormonal balance. It also has strong cooling properties that make it a suitable choice for anyone having trouble managing menopausal symptoms like hot flashes. How to use: You can add cypress essential oil in your bathwater to enjoy its amazing benefits. Simply add 6-8 drops and have a long relaxing soak. You can make it even more effective by adding a couple of drops of geranium and clary sage oil to your bathwater. What Is the Average Size of the Uterus?